← How Do the Ten Commandments Inform Our Confession and Healing? 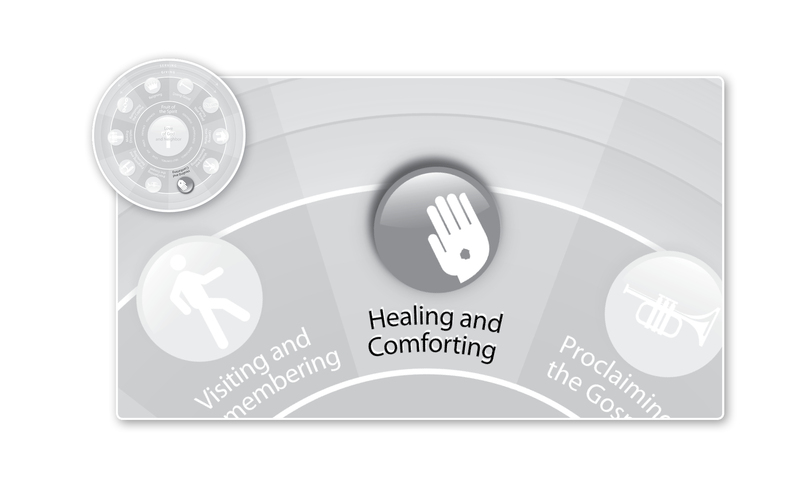 Q: We sing “O Sacred Heart Now Wounded” as part of our learning on Healing and Comforting. This is not going to be a popular one with mainstream America. It’s not an issue with style of music but because there are phrases in it like, “For it was my transgression which brought this woe on me.” Words like this get to our sin and how Christ had to pay for that and propitiate God’s wrath. Isn’t that the opposite of what is typically sung, and even taught, in churches today? We talked about confession and it’s an area that is sorely lacking, especially among Protestants. We commit specific, intentional acts against God, his purpose, his laws, and the way that he intended us to act. We need to have a point where we can intentionally own up to that and to recognize that as a gift. Confession isn’t just the uncomfortable, awkward prelude to a time of grace. If you could summarize all the healing and comforting posts into one point, it would be that God gives us these tools of prayer and confession as a means for us to experience healing. Healing isn’t simply a facet of bodily health. The body, soul, and spirit are connected together and when we become ill, we don’t give up our calling to be members of the household. We still act as members of God’s house and whether he heals us or not, we have an important role to play – both in holding others accountable and being held accountable – for demonstrating the grace of God. So, confession and healing are both integral aspects of the grace of God. This entry was posted in Uncategorized and tagged Confession, God, Healing and Comforting, Jesus, Whole Life Offering. Bookmark the permalink. It is always disappointing to see Christians focused on “happiness”, or “perfect health”, as if those things are earned through living a good life & a “right” – to see those goals being set instead of the attitude that we will be able to conquer those things if it glorifies God. For example to see someone divorce their wife & abandon their children/family, because he is not happy, feels he needs to “be free” to chase happiness as a goal. but there is a much bigger purpose in suffering, or in our illness, or unhappy situation, if it glorifies God. Watching our experience may lead others to him or impact other Christians positively. We never can know the true impact a lingering illness has on the family of the one suffering, for example. Christian testimony through suffering may be the way God uses to touch the heart of a family member or loved ones. The one going through suffering may be asking God “Why?, or “Why me?”, without considering that the purpose of their suffering is for Gods Glory, to bring others to himself, or to make the Christians character more Christ-like, to accomplish Gods purpose…..in spite of the unhappiness or pain they have to go through. If we understood the bigger purpose behind each situation God has in store, we might be less focused on our own suffering & more focused on his purpose, more willing to dedicate our lives to him for his use, no matter the pain or suffering we might have to go through. We have to trust him that “all things work together for good for those that love him & are called according to his purpose”…..and go through trials much as Christian did in Pilgrims Progress, growing with each step. Thanks for sharing this…I really enjoyed listening & will listen more to these in the future.